Home > Fundraising Law > Street Collecting: What Are the Rules? Street collecting is amongst the most important of the tools in a charity’s arsenal. Pounding the streets with a collection bucket might not sound like the most enticing way to spend a day, but it can do wonders for your financial situation – and, more importantly, for public awareness of your charity. Street collections are perhaps the quickest way of improving knowledge or awareness about your charity amongst the local population. But, while the government recognises that this is a vital activity for many charitable organisations, it also understands that it must be regulated in order to ensure that collections run smoothly and the public can go about its business without hindrance. As a result, there are strict laws on street collections to which you must adhere. A street collection permit is required if you wish to collect money or sell anything for the benefit of a charity. This applies across England and Wales. You must apply for the permit through the relevant local council; you will be able to find forms on their website. Procedures vary from council to council, with more arduous requirements in place in areas that are particularly popular with collectors. Although time scales for granting a permit will also vary, you should ensure that you give at least a full calendar month’s notice where possible. Once you have a permit, you will have to abide by a further set of rules when you start collecting. Again, these vary from council to council, but there are several regulations that apply in most areas. To begin with, all collectors must be at least 16 years old unless the collection is part of a procession. In these cases collectors can be as young as 14, but must be accompanied by an adult if they are younger than 16. You must ensure that you do not obstruct the public, or cause them any other annoyance or danger. Collectors must stand at least 25 metres apart from each other, and should remain stationary unless part of a procession. 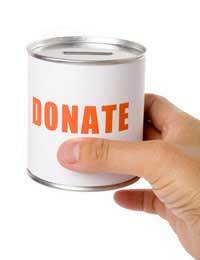 Any collecting buckets or tins must be sealed, and should clearly display the name of the charity or fund. You may not shake collecting tins. You should also ensure that each group of collectors has a signed letter of authority from a designated Chief Promoter, ready for inspection by the police or a council official. In some areas you will be required to carry a badge bearing the logo of the council, showing that the collection has been authorised. The practice of direct debit collections has grown in popularity, and it has recently been more stringently regulated. Depending on the area, a licence may or may not be required for this type of collection. In some areas only members of the Public Fundraising Regulatory Authority are permitted to collect direct debit collections. If you wish to do this, you should either contact the relevant local council for more information, or contract with a professional fundraiser. The rules regarding street collections can be confusing, but it is vital that you keep on the right side of the law. Contact the licensing department of your local council if you are in any doubt. Can the owner of private land take the money already collected in charity buckets? I wasn't aware of getting permission and apologised straight away but still all money was confiscated. Can a group who are not a charity put 'charity' collection boxes in supermarkets'? We don't know. Unregistered charities or community groups still have to follow the general rules for fundraising. It would be better to ask the supermarket directly about this. Do the quoted rules regarding 'street' collections also apply to privately operated shopping centres like Arndale or Westfield? Or, do the owners of shopping centres tend to voluntarily apply the rules?